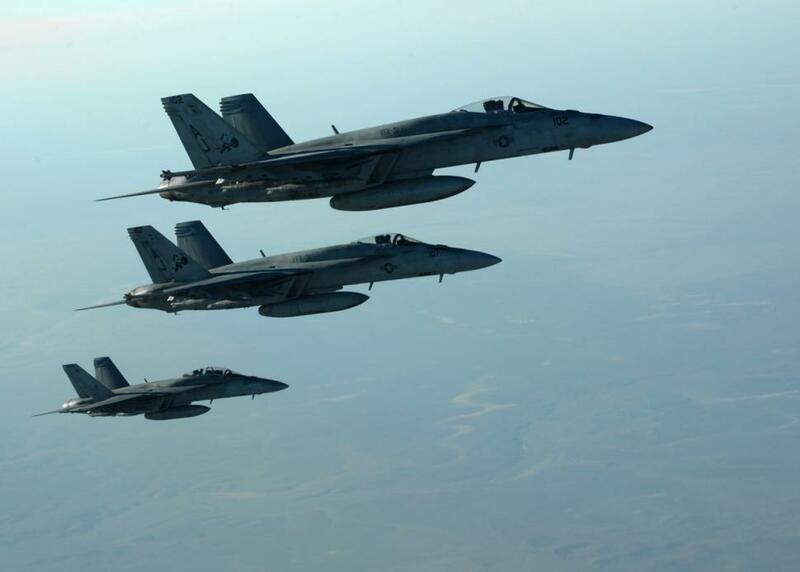 US-led airstrikes have destroyed four ISIS-held oil tanks and damaged another during a fourth night of bombardments in Syria. The Pentagon said it also carried out seven strikes on ISIS positions in Iraq, including one on the outskirts of the capital, Baghdad. The Danish government says it is sending seven F-16 fighter jets to join anti-IS operations – but only in Iraq. The UK parliament is due to vote on possible air strikes in Iraq on September 26. The Islamic State is meanwhile advancing on the Syrian border town of Kobane, pushing back Kurdish fighters, reports the Reuters news agency. Hundreds of protesters stormed the border fence in order to cross into Syria from Turkey to help defend the town, it says. ISIS controls much of north-eastern Syria and earlier this year seized swathes of territory in neighboring Iraq, including the second city, Mosul. After previous US-led air strikes, ISIS militants beheaded three Western hostages. Some Western leaders are wary of bombing Syria, as the government there has not asked for foreign assistance against ISIS, unlike Iraq. The tanks were destroyed in the oil-rich Deir al-Zour province, the US Department of Defense said in a statement. It also said strikes in Iraq had destroyed nine ISIS vehicles and damaged others. The strikes were carried out by “a mix of fighter, attack and remotely piloted aircraft”. The UK-based Syrian Observatory for Human Rights, which monitors the conflict in Syria, said the new strikes caused casualties but the numbers were unclear. Recent air strikes have been targeting oil facilities under ISIS control in both countries in order to reduce its finances. The ISIS group is earning an estimated $2 million a day from oil sales. Earlier, Spain’s interior ministry said Spanish and Moroccan police had arrested nine people suspected of belonging to a militant cell linked to the IS group. A statement from the ministry said the suspects belonged to a group based in the Spanish enclave of Melilla, on the northern coast of Africa, and the neighboring town of Nador, in Morocco. One of those arrested is reported to be Spanish; the rest are Moroccan nationals. Some 140,000 people are said to have fled the ISIS advance on Kobane in recent days, crossing into Turkey. Earlier this week, the UN Security Council adopted a binding resolution compelling states to prevent their nationals from joining jihadists in Iraq and Syria.